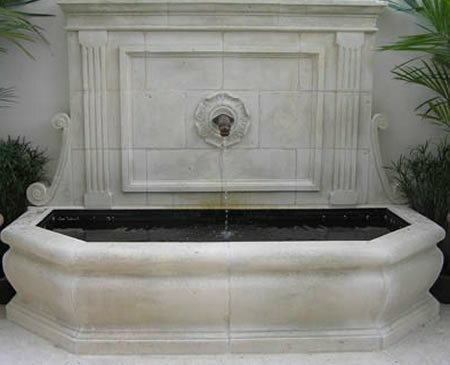 A hand-carved limestone wall fountain. 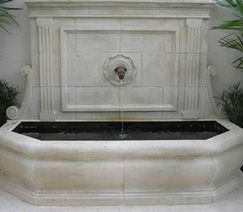 A French octagonale limestone fountain. 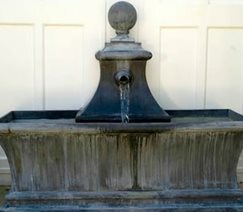 An English lead wall fountain and basin. Water has been an essential part of outdoor living in Europe since the 17th century. You can add a bit of this tradition to your own garden with a lead or limestone fountain. 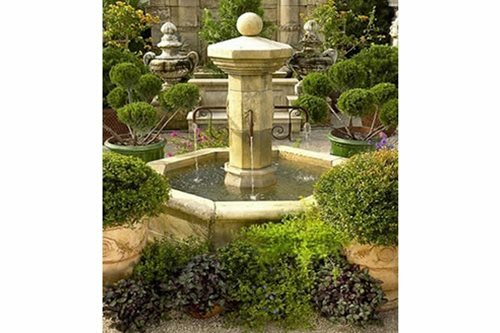 Authentic Provence offers a wide variety of antique fountains in freestanding and wall models. French Limestone FountainsAuthentic Provence offers a vast selection of French limestone fountains. The fountains are hand-carved and customizable with a variety of brass or iron spouts. Perfect for a front entrance or large patio you can chose from styles such as an octagonale fountain or a tiered fountain. 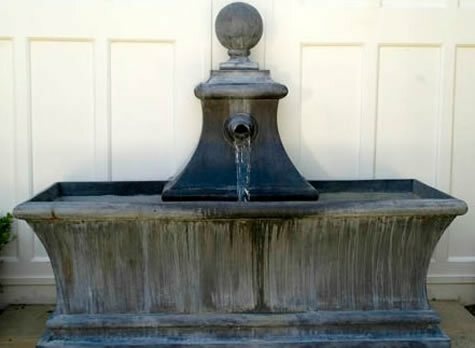 English Lead FountainsAuthentic Provence's lead fountains are available in classic English designs or contemporary styles. Their fountains are great for all weather use and will not rust. 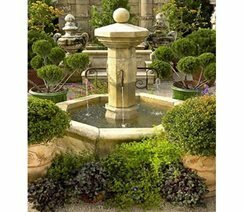 Authentic Provence also carries antique terra cotta fountains from Italy. If you live near Palm Beach, FL go check out Authentic Provence's Secret Garden, where you can see their antique fountains and other offerings on display.